ST. PETERSBURG, Fla. -- Duke Energy has selected five Florida properties for participation in this year's Site Readiness Program, which will prepare them for targeted business development and future capital investment. Through its Site Readiness Program, Duke Energy identifies high-quality industrial sites and works with the site's owner, county/city officials and local economic development professionals to identify the property's current status and to develop a strategy for providing water, sewer, natural gas and electricity, necessary for the development of the properties. "Site readiness supports communities' needs by evaluating properties and providing recommendations and a vision that are used to attract companies and jobs to the area," said Marc Hoenstine, director of economic development, Duke Energy. "This process of identifying competitive sites that are prime for development, coupled with strong workforce programs and available talent, has resulted in several successful projects throughout our six-state service area over the last 13 years." DeBary Industrial Park is a 255-acre site that is adjacent to a CSX rail line and is 5 miles west of Interstate 4. The site will be evaluated to support light manufacturing, advanced manufacturing, IT/communications, biomedical/biotechnology and food and beverage manufacturing. "We're very excited about the opportunity to work with Duke Energy through its site readiness initiative, highlighting an approximate 250-acre industrial zoned site with CSX access located between Orlando and Daytona," said Roger VanAuker, economic development director for the city of DeBary. "We appreciate Duke Energy's partnership in economic development, taking a proactive role in the economic prosperity of DeBary and regionally." Acorn Farms is a 190-acre site located east of Interstate 75 with convenient access to the Florida Northern Railroad. Five key industry targets for this site include logistics and distribution, light manufacturing, advanced manufacturing, food and beverage manufacturing and aviation and aerospace production. "The Duke Energy Site Readiness Program will help our community identify and further advance the development of the Acorn Farms property," said Brett Barnes, vice president of job creation for the Greater Ocala Chamber and Economic Partnership. "With extensive feedback from Global Location Strategies (GLS), an internationally recognized site selection firm, and the knowledge gained, we will be in a better position to continue to develop the site for future growth. We greatly appreciate this incredible opportunity Duke Energy presented to us. We look forward to working with them and the entire GLS team." The Levy site consists of 5,400 located in close proximity to navigable water with transmission-level power nearby and is within 5 miles of a railway. The site and neighboring area has key attributes to support timber production/processing, food processing and general manufacturing industries. "Knowing a location's full potential for development is critical for site selection, ensuring essential infrastructure and features are in place for sought-after industry," said David Pieklik, executive director for Nature Coast Business Development Council of Levy County. "Taking a hard look at a 5,400-acre site north of Inglis – an area poised for growth – Duke Energy's Site Readiness Program will help us ensure we have everything we need for a perfect fit." Opportunity Park is a 240-acre industrial park located in Crawfordville, Fla., 14 miles south of the Tallahassee International Airport and 18 miles from Interstate 10. The park has three-phase electric service, abundant natural gas, water, sewer, business internet and communications available on site. Targeted industries include general manufacturing, offices and green, environmentally responsible businesses. "It has been a pleasure for the Wakulla County Economic Development Council to assist in bringing Duke Energy and NG Wade, a Jacksonville, Fla.-based investment firm and the site's owner, together for the evaluation of Opportunity Park, a project that is vital to Wakulla's economic development," said John Shuff, chairman of the Wakulla County Economic Development Council. "We are grateful to Duke Energy for having the vision to understand the importance of this industrial park for Florida's Capital Region!" The Carter Property is a 468-acre site that is adjacent to Interstate 75, just south of the Florida/Georgia border. Four potential targeted industries for this site include logistics/distribution, food and beverage, wood/timber products (pellet mills) and general manufacturing. "Hamilton County is well-positioned on the Florida/Georgia line to offer businesses a strategic location where they can easily reach the Southeast market," said Susan Ramsey, executive director of the Hamilton County Development Authority. "Duke Energy's selection of the Carter Property for the Site Readiness Program will result in yet another competitive Hamilton County site for businesses to consider." After each evaluation is completed, materials highlighting the property's attributes are used to help strategically market the sites nationwide for companies looking to expand or relocate their operations. Duke Energy is working with two nationally recognized site selection consulting firms to evaluate the properties. O'Neal Consulting, a consulting firm in Greenville, S.C., which recently acquired the assets of McCallum Sweeney, has been instrumental in locating many high-profile headquarters and industrial relocations and expansions throughout Florida and the U.S. And most recently, Global Location Strategies, based in Greenville, S.C, is a new partner to Florida's Site Readiness Program working with manufacturing and industrial companies assisting with capital, labor, energy and water intensive project requirements. 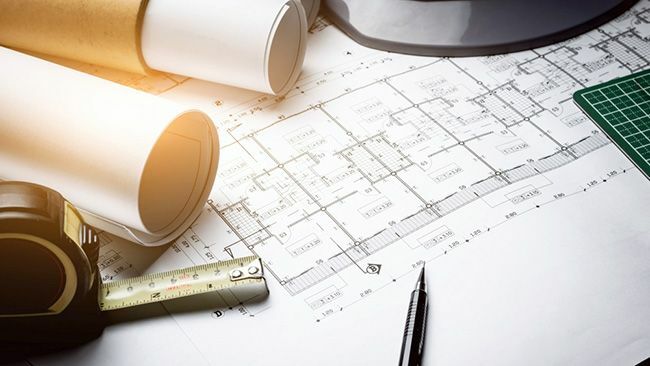 Heidt Design, a Tampa, Fla.-based engineering firm will continue to support the program with buildable area studies and conceptual drawings for each site evaluation. Duke Energy's Site Readiness Program was recognized by Southern Business and Development magazine as one of the "South's Top 10 Site Programs" and was noted as one of the main reasons Duke Energy was named as one of the nation's "Top 10 Utility Economic Development Programs" by Site Selection magazine for the past several years. Duke Energy's economic development efforts have helped attract and grow more than 270 companies in Florida since 2001, resulting in more than 40,600 new jobs and $3.5 billion in capital investment in the communities it serves. The Site Readiness Program has resulted in 34 major project wins on sites across the Duke Energy footprint. These projects will create over 6,800 new jobs and invest more than $7 billion in capital. For more information about Duke Energy's economic development programs, visit duke-energy.com/economic.